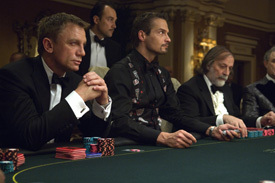 The most successful invigoration of a cinematic franchise since Batman Begins, Casino Royale offers a new Bond identity. Based on the Ian Fleming novel that introduced Agent 007 into a Cold War world, Casino Royale is the most brutal and viscerally exciting James Bond film since Sean Connery left Her Majesty's Secret Service. Meet the new Bond; not the same as the old Bond. 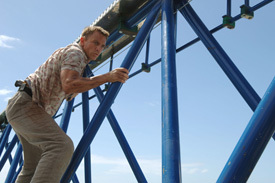 Daniel Craig gives a galvanizing performance as the freshly minted double-0 agent. Suave, yes, but also a "blunt instrument," reckless, and possessed with an ego that compromises his judgment during his first mission to root out the mastermind behind an operation that funds international terrorists. 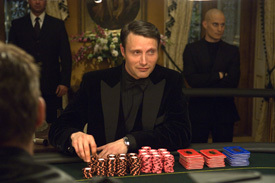 In classic Bond film tradition, his global itinerary takes him to far-flung locales, including Uganda, Madagascar, the Bahamas (that's more like it), and Montenegro, where he is pitted against his nemesis in a poker game, with hundreds of millions in the pot. 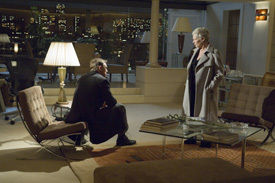 The stakes get even higher when Bond lets down his "armor" and falls in love with Vesper (Eva Green), the ravishing banker's representative fronting him the money.